Looking for independent living just outside of Milwaukee? Tudor Oaks provides all of the privacy and comfort of home with easy, maintenance-free living in beautifully designed independent living apartment homes. Enjoy all life has to offer in our community, in apartments featuring spacious open-concept living spaces, ceramic tile walk-in showers, granite countertops, patios, balconies, and attached heated garages. And your home is just the start. As part of the Tudor Oaks community, you’re free to focus on the active pursuits you enjoy, like biking on area trails, bird watching, walking the wooded paths, or going for a swim in the warm-water pool. Residents in our independent living community also enjoy access to campus amenities, including a fully-equipped fitness and wellness center with a professional trainer, a bistro, greenhouse, convenient on-site banking, salon services, and delicious dining options. Browse the available floor plans for our Independent Living apartments and homes today! Moving to our Independent Living Community? Let Us Help! Independent living at Tudor Oaks offers a variety of lifestyle choices and financial options. If you are interested in our independent living apartments, we will walk you through the entire process and help create a plan that makes sense for you. Another benefit of Tudor Oaks are the levels of care offered on campus. Our residents have access to a full range of health care and rehab services on-site (should they ever be needed). From healthcare planning to financial planning and moving coordination, our experts are ready to assist you. Take a tour. Give us a call at 414-529-0100 to visit Tudor Oaks and explore our vibrant independent living community for yourself. 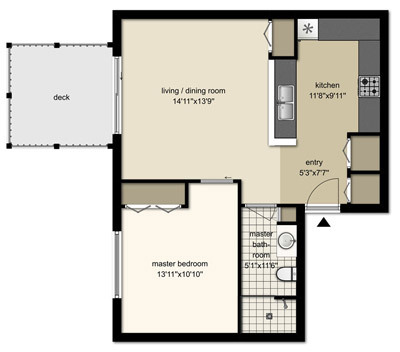 We have a variety of Independent Living floorplan layouts designed to fit your needs.